[quote name="Jemadar" date="2019-04-05 14:02:37" ] I feel that some people are missing the point. They just see people complaining and think 'geez, every update is met with criticism'. However. 1. It isn't the same people complaining (or at least I assume so) all the time. For the eye updates, it probably is, because the same people who had a problem with the original update would still have a problem with this one. 2. Voiceing opinions and letting the staff know that players are dissatisfied are the only ways to let staff know that there is something about an update that users don't like. If you like the update, great, however, imagine how you would feel if they did something you really disliked. (not even going to give examples, just think of something you would HATE to see in FR and imagine FR implemented it). that is how many people feel about the eye update implementation. (not the actual eye update even, just the implementation) 3. For the people who are saying 'it doesn't matter, you can't see the eyes on most adult dragons anyway', that is definitely missing the point. Not everyone has smalled eyed dragons, and this paves the way for future updates of a similar nature, which potentially CAN be seen on adult dragons. Primal already changes the entire look of the dragon and definitely be seen on nearly any dragon. This means there could be future natural eye types that can easily be seen that will be locked behind a breeding only wall. Plus, it doesn't really matter whether you feel that way or not, it obviously does matter to some people. I have been thinking about this since this eye update came out, and I am still disappointed, even though I dislike goat eyes and don't want them on any dragon. This makes me afraid that future updates will include eye types I DO want, and can't get. [/quote] -snaps fingers- Thanks for your input as always, Jemadar. I feel that some people are missing the point. They just see people complaining and think 'geez, every update is met with criticism'. 1. It isn't the same people complaining (or at least I assume so) all the time. For the eye updates, it probably is, because the same people who had a problem with the original update would still have a problem with this one. 3. For the people who are saying 'it doesn't matter, you can't see the eyes on most adult dragons anyway', that is definitely missing the point. Not everyone has smalled eyed dragons, and this paves the way for future updates of a similar nature, which potentially CAN be seen on adult dragons. Primal already changes the entire look of the dragon and definitely be seen on nearly any dragon. This means there could be future natural eye types that can easily be seen that will be locked behind a breeding only wall. Plus, it doesn't really matter whether you feel that way or not, it obviously does matter to some people. I have been thinking about this since this eye update came out, and I am still disappointed, even though I dislike goat eyes and don't want them on any dragon. This makes me afraid that future updates will include eye types I DO want, and can't get. -snaps fingers- Thanks for your input as always, Jemadar. Need a Dragon Bio? Check out my Lore Shop! Yey! Just got my first goat eyes dragon! [quote name="Cottony5" date="2019-04-08 02:14:12" ] Yey! Just got my first goat eyes dragon! [/quote] [center][img]http://flightrising.com/dgen/preview/dragon?age=0&body=5&bodygene=19&breed=6&element=6&eyetype=9&gender=0&tert=142&tertgene=0&winggene=2&wings=147&auth=1b2b71229c13992f09786f270f9b41433df22c4f&dummyext=prev.png[/img][/center] @Cottony5 Congrats! OMG, so cute! @Cottony5 Congrats! OMG, so cute! It will be great if I had some of these Dragon Eyes types as well. 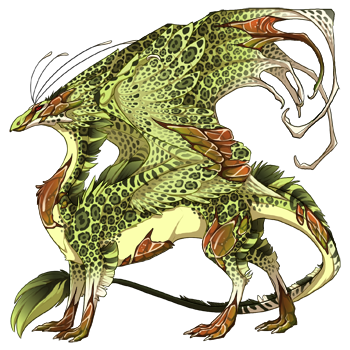 [quote name="UndeadDahlia" date="2019-04-10 01:34:27" ] My first Goat baby was born today [url=http://flightrising.com/main.php?dragon=50888106] [img]http://flightrising.com/dgen/preview/dragon?age=0&body=102&bodygene=19&breed=13&element=2&eyetype=9&gender=0&tert=166&tertgene=17&winggene=19&wings=102&auth=7676aefae259e6acf4d25893bba71f5d37ab2bf7&dummyext=prev.png[/img] [/url] [/quote] @UndeadDahlia Congrats, they look so cool! That Auburn Opal is the perfect pop, bringing the reds and greens together! And from a one-egg nest? What luck! @UndeadDahlia Congrats, they look so cool! That Auburn Opal is the perfect pop, bringing the reds and greens together! And from a one-egg nest? What luck! [quote name="Undel" date="2019-03-22 06:38:15" ] [quote name="Saphirosa" date="2019-03-22 06:36:37" ] Great. Even more chances to NOT get a primall..thanks.. [/quote] The chance for goat ate into the chance for a common eye slightly ;-) The chance to get a primal remains unaltered. [/quote] and here I am, still haven't gotten a single goat baby. they won't even turn up in the previews of nests. are you sure you didn't miss something in the coding? Great. Even more chances to NOT get a primall..thanks.. The chance for goat ate into the chance for a common eye slightly ;-) The chance to get a primal remains unaltered. and here I am, still haven't gotten a single goat baby. they won't even turn up in the previews of nests. are you sure you didn't miss something in the coding?